As Lev Manovich (2007) notes, remix culture has dominated the beginning of the 21st century, with the term brought out of hip hop culture and applied to visual projects, software, literary texts, and many other forms of media. But Microsoft, Yahoo, Amazon, and other large IT companies reframed remix further and much of the hip hop culture and ethics context for this particular iteration of compounded style was lost or co-opted if marketable. This, to a certain extent, has been tempered by a burgeoning “Maker” culture, characterized by DIY projects that create clothing, food and other items typically mass-manufactured and bought from large chain stores. With a growing economic crisis and a sense of betrayal by major financial institutions, the DIY ethic has become increasingly attractive to a broader swath of people. This impulse is also fed by the growing ubiquity and rapid decrease in price and relative increase of visibility of technology that aids making and sharing various forms of media. Importantly, these new “Makers” are part of a community of like-minded individuals who support this culture by sharing instructions, showcasing outstanding works, and buying one another’s items, whether they be musical, wearable, or edible. Like remix, DIY also partially hales from an underground music culture—punk rock. Re/Search publisher and long time cultural critic V. Vale identifies elements of the punk rock ethic as expressed in DIY culture as mutual aid, financial minimalism, anti-authoritarianism, and black humor. He claims observing aspects of these traits at the San Francisco Maker Faire in 2008, wherein amateur builders and scientists exhibit their creations. Alternately, many Makers find their inspiration in hacker culture, which celebrates freedom, curiosity, and subversion of a perceived dominant paradigm. So what does archaeology have to do with all of this? In this context, archaeologists have the potential to develop small scale, inexpensive outreach projects that have a relatively large impact and retain the vision and the voice of the archaeologist. Too long have archaeologists relied on the popular media to transmit information about our past. Meg Conkey and Ruth Tringham (1996) forward the concept of decentering authority in archaeology while in the classroom and position archaeology as crucial to contemporary cultural politics. Further, they identify the popular media as serving the “very same controlling agents that have fostered patriarchal, essentialist, authoritative thinking” and assert that for this reason an “explicit engagement with the media is even more crucial to a feminist pedagogy” (233). Randall McGuire (2008) seeks to remove the secrecy surrounding the production of “texts, cultural artifacts, and meanings that appear natural, given, and unalterable” (22). With the tools of new media, archaeologists can inexpensively create their own media products, and share them instantly on the internet. In this way, archaeologists could circumvent the popular media to transparently present their own stories. Better yet, these same technologies can provide a means to co-creatively construct the past with the active participation of stakeholders. Rosemary Joyce and Ruth Tringham (2007) raise the legitimate concern of unequal access to digital resources, but argue that technological access quickly reaches beyond the first adopters to benefit women and disempowered groups (330-331). I believe that the context of DIY and Maker culture provides an exciting environment for education and “serious play” and that it is vital for archaeologists to take advantage of this. I’ll see what I can do about uploading my slides a bit later. Interesting thoughts! 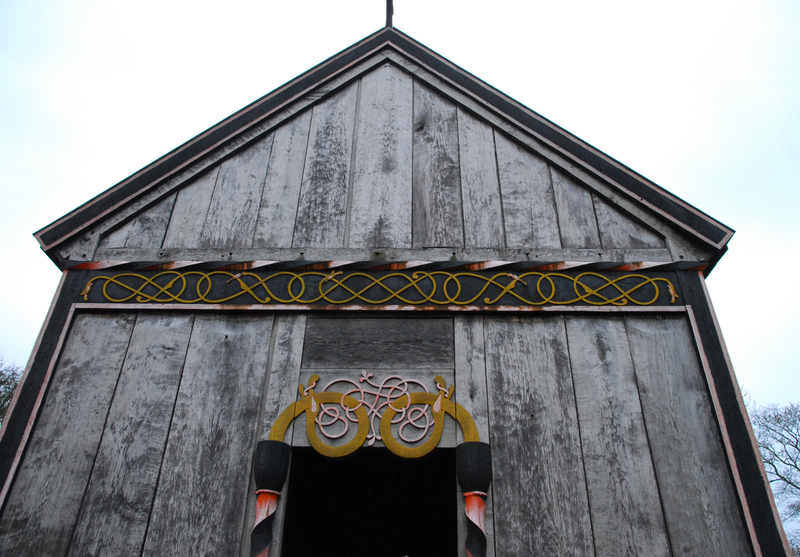 For my part I will continue with the empirical research on the post- and stave churches, there are so much undone there.